Who wouldn't want to wake up to this cute Christmas breakfast?! Fluffy pancakes topped with fresh strawberries and whipped cream. I love to make special treats during Christmas break. Those two weeks when my girls are home from school are the best. Our mornings are slower, we listen to Christmas music and snuggle in jammies by the fire. The glow of our Christmas tree seems to warm the entire house. 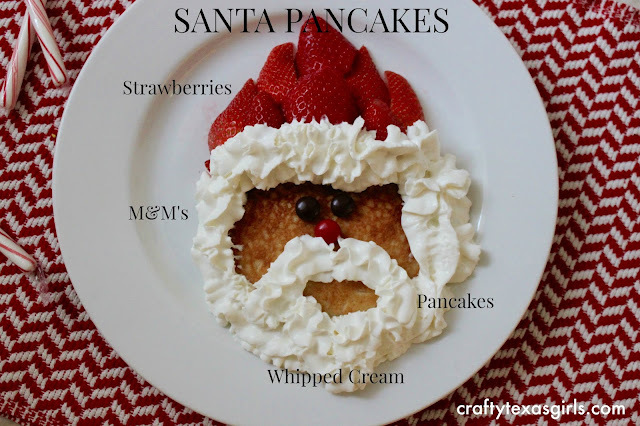 And making these Santa Pancakes is a treat- not only to eat... but to make! Break out your apron and keep reading below for the recipe. You probably have most of these ingredients on hand. -In a large bowl, whisk flour, sugar, baking powder, baking soda, and salt. Set aside. -In another bowl, whisk buttermilk, melted butter, vanilla, and eggs. -Pour wet ingredients into dry and whisk until just combined, batter will be slightly lumpy. -Heat a skillet over medium-high heat. Ladle 1/4 cup of batter and cook until bubbles form around sides. Flip and cook until cooked through. -Place pancake on plate. 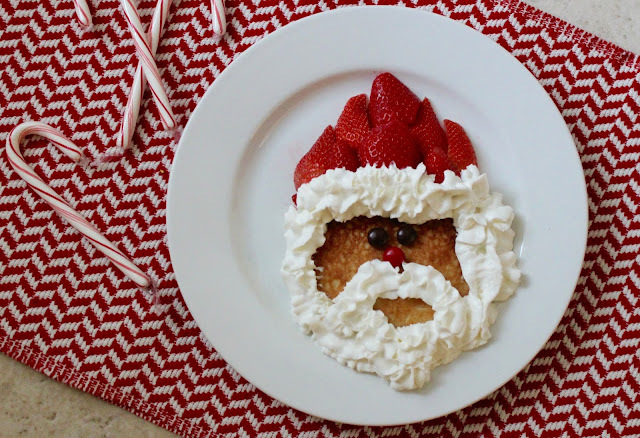 Arrange strawberries on top of pancake for Santa’s hat. Add candy for eyes and nose, and spray whipped cream to make Santa’s beard. I think Santa himself would love these pancakes. 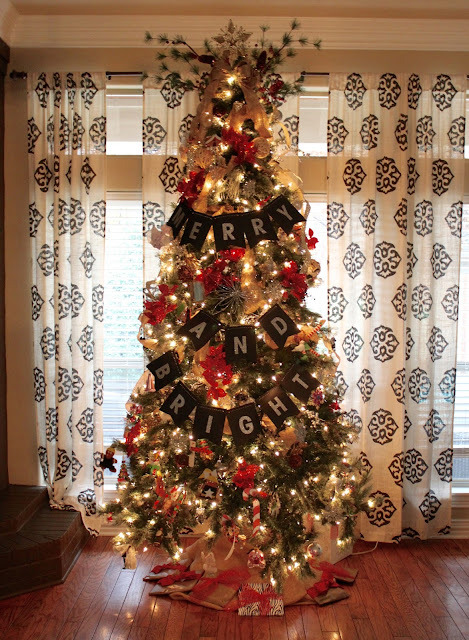 The best part is, your kids can help you make them. Measuring ingredients, mixing the pancake batter-- my girls love to be part of it all. Of course letting them add the whipped cream topping was their favorite! 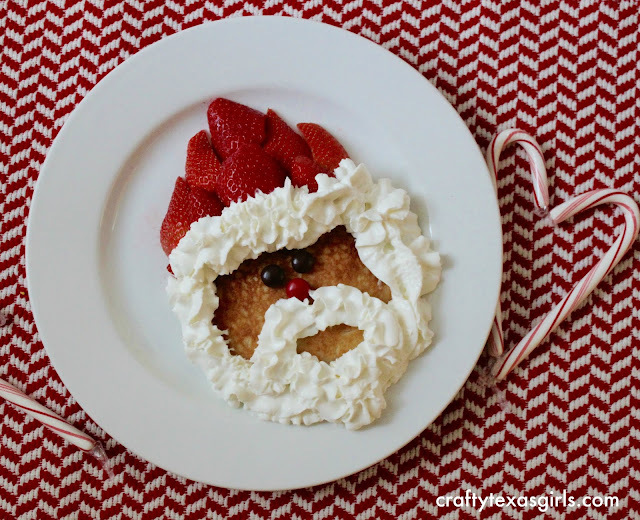 Santa Pancakes are sure to become a Christmas tradition in our house. This recipe is from Imperial Sugar. Imperial Sugar has lots of fun edible crafts and holiday ideas. Get your kids in the kitchen and play with your food. You will create memories that will last a lifetime.